The Dalite 16 x 27'6" Drapery Kit for the Fast-Fold Truss Standard Projection Screen is a great way to add a touch of professionalism to your presentation. The black drapery system provides a neat and finished look to the screen. 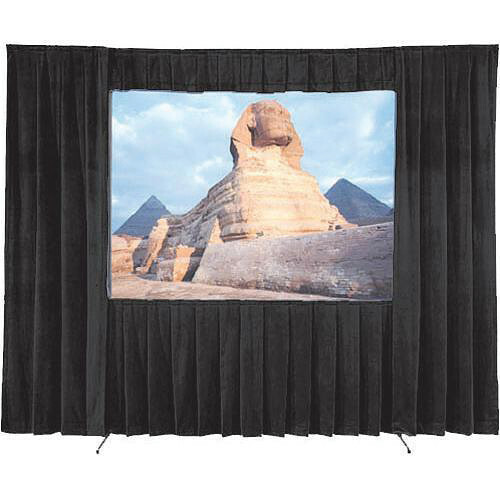 It is a 16 oz, fire retardant cotton velour drapery that attaches with snaps to Fast-Fold screens to enhance and isolate the image and assure that your audience's attention remains fixed where it should be. Box Dimensions (LxWxH) 79.0 x 17.0 x 11.0"